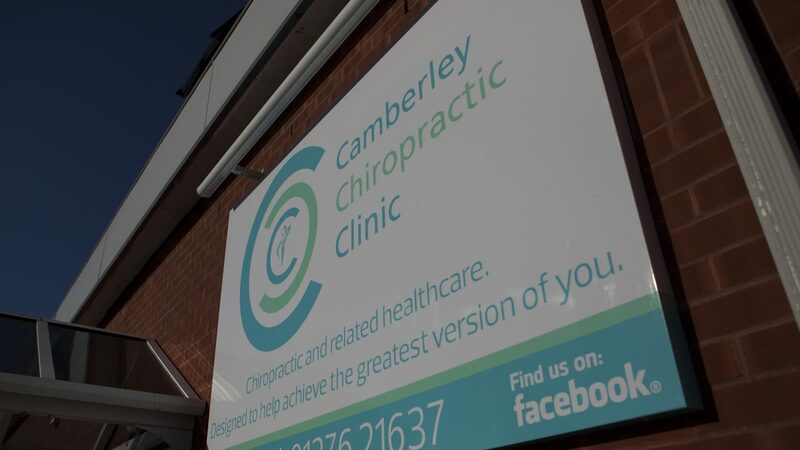 Camberley Chiropractic Clinic is the longest established Chiropractic clinic in the Camberley area. The clinic has undergone a number of changes over the past few years. The aim being to help patients not only get out of pain but improve their overall health. Ultimately, our goal is to empower patients to fully understand the problem(s) they have in their body. With this knowledge, they can then utilise the additional services we offer at the clinic to minimise the risk of future injury, increase sports performance and improve their health. The clinic utilises some of the latest technology to enhance our diagnostic accuracy and improve patient care. These include a gait scanner to assess foot function issues that might be affecting a low back problem and Class IV Laser Therapy to aid the healing of acute injuries. Our Chiropractors are covered by all major healthcare providers. We advise you contact your insurer before making an appointment. We claim directly from AXA PPP and Bupa. 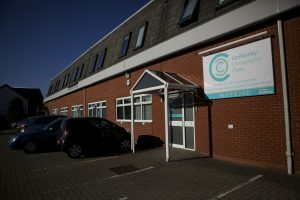 If you have any queries, please contact our Reception team - reception@camberleychiropractic.co.uk. We provide a text or email reminder service on the day before your appointment or class to confirm your appointment time. Please note that we provide this as a reminder service only - should we not be able to speak with you, it is your responsibility to attend your appointment or class at the time agreed when it was originally booked. Should you wish to change your appointment or class, please inform us, before 9.00am on the day of your appointment or class, or ideally at least a day before. Should you change your appointment or class after 9.00am or miss it altogether, a charge of the full treatment fee shall be made to you. We do not wish to levy a charge to you, so please do all you can to ensure we don’t. We want you to spend your money on treatment! If your treatment is covered by health care insurance (i.e. AXA PPP, BUPA), you would be responsible for the cancellation charge as your insurance company does not pay for missed appointments. We are covered by all major health insurance companies and claim directly to Bupa and AXA PPP (excluding Simply Health) providing the excess has been paid and we are given a prior authorisation code and membership number. We must receive this information before the start of treatment, otherwise we will need to take payment at time of treatment. For all other insurance companies, we are happy to email or print a copy of your receipt to send to your insurance company. If your treatment is covered by health care insurance (i.e. AXA PPP, BUPA), you would be responsible for the cancellation charge as your insurance company does not pay for missed appointments. Mindfulness Prices vary dependant on course. Click here for Reflexology prices. Prices vary from £30 - £60 per treatment. The Chiropractic Family Package is the only package available for sharing pre-paid Chiropractic Treatments with family members. All other packages sold at the clinic are to be used by 1 nominated patient. If you do not wish to use all the treatments in your package and require a refund, the clinic reserves the right to charge the full price Treatment price for treatments already used from the package and refund the difference accordingly. The full price treatment is stated on the Price List on the Reception Desk and above.